Just Jingle: SMILE! It's RELEASE DAY! Yes, this is the final day of the CAS-ual Fridays Stamps Release week and that means when the clock strikes midnight (Eastern time) the new stamps will be available IN THE STORE!!! WOOT! That, my friends, is most certainly something to smile about! This new Tin Roof (RUSTED!) (p.s. No, the rusted part isn't part of the name of the set, but ... every.single.time. #thatisall) background was just begging me to do some ink blending! I love how the ink allows the details of the embossed background to really stand out! 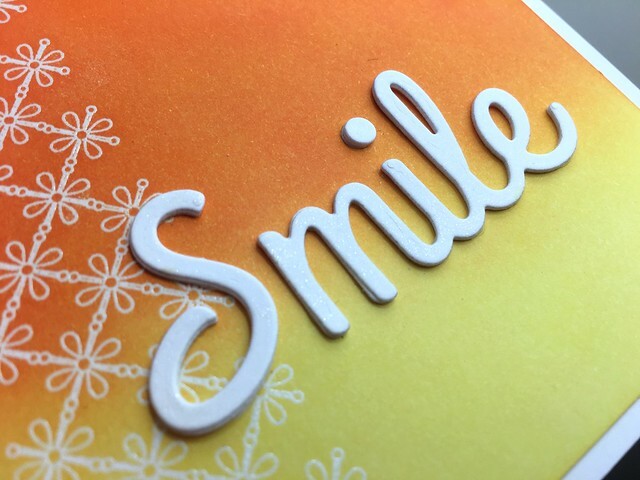 I layered the smile die several times to create a dimensional sentiment. I then went over it with a Spectrum Noir glitter brush pen for some added shimmer. Because: Glitter. I hope this release week has left YOU with a smile! 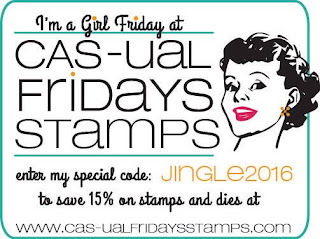 Don't forget to use code JINGLE2016 with your order for 15% off at the CAS-ual Friday Stamps store!!! 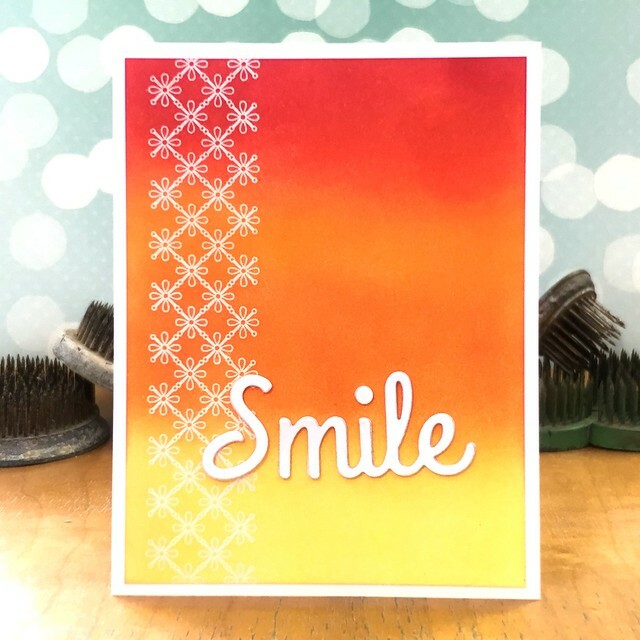 Also... stop on by the CAS-ual Fridays Stamps blog today to check out what the rest of the team created and to enter to win this awesome stamp set! WOOT! I love that shaded background!! Really makes the stamping POP!! Your card is simply gorgeous! Love it!